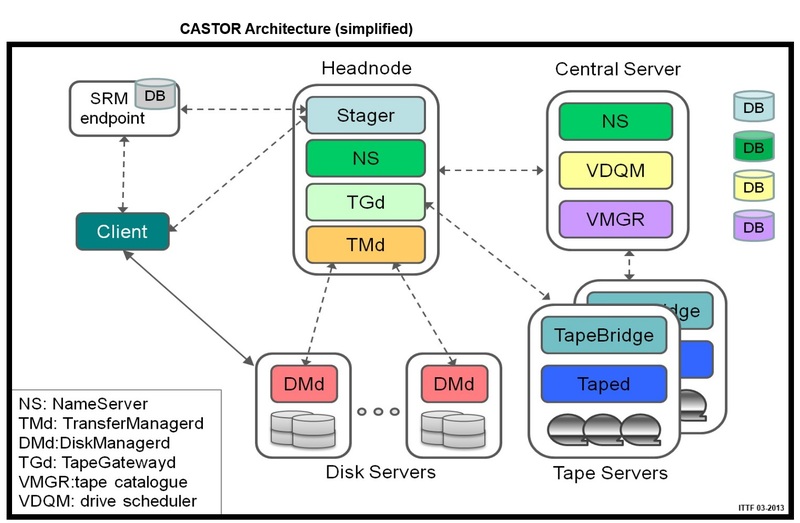 The CERN Advanced STORage manager (CASTOR) is a hierarchical storage (i.e. 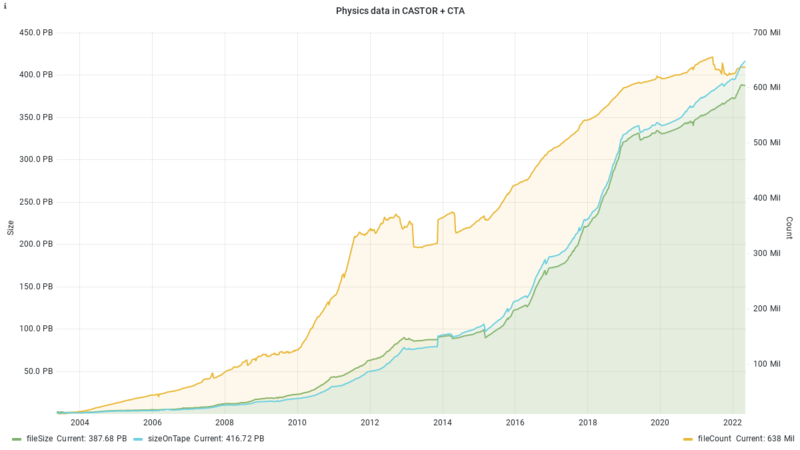 has disk and tape) management system which was developed at CERN for archiving physics data (with very large data volumes, see the plot on the right). Files can be stored, listed, retrieved and remotely accessed using CASTOR command-line tools or user applications that were developed using the CASTOR API. CASTOR provides a set of access protocols such as XROOT (the main and recommended protocol), RFIO (Remote File IO, deprecated), and GridFTP. The design is based on a component architecture (Architecture diagram) using a central database in-order to safeguard the state changes of the CASTOR components. The access to disk pools is controlled by the Stager; the directory structure is kept by the Name Server. The tape access (writes and recalls) is controlled by the Tape Infrastructure. Tape Infrastructure - under certain conditions CASTOR saves files onto tape in order to provide data safety and to manage data storage that is larger than the available disks. 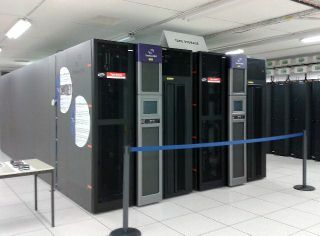 At CERN, the high capacity tape units that are used are Oracle StorageTek (photo) T10000C (5 TB) and IBM TS1140 (4 TB). Cartridges are housed in tape libraries, and access to them is fully automatized. The libraries used by CASTOR in production are 4 x Oracle SL8500 and 3 x IBM TS3500. The current total tape archive capacity is ~100 PB (January 2013). User commands are available to display information in both the Name Server and Volume Manager databases. The mounting of cartridges to and from tape drives is managed by the Volume Drive Queue Manager (VDQM) in conjunction with library control software specific to each model of tape library. The cost of storage per terabyte on tape is a lot less than that on hard disk, and it has the advantage of not consuming electricity when tapes are not being accessed. However, access times on tape are longer, in the order of minutes rather than seconds. Storage Resource Management - allows for data access in a computing Grid via the SRM protocol. It interacts with CASTOR on behalf of a user or other services (such as FTS, the File Transfer System used by the LHC community to export data). The previous website is at CASTOR website (2006 - 2013).